Well it's that time of the year again when we dig out the wellies, sometimes it's just easier putting wellies on the kids when they're they most likely to splash in puddles and ruin their clothes. I have recently been looking at buying Amelia new pair seeing as she seems to have outgrown the dozen pairs of wellies she already has! Luckily I am able to keep a couple of those for Harry when his feet are big enough to fit into them. Here are some of my favourites for boys and girls this winter. Kids Minnow Junior Welly Tulip/Navy - These wellies from Regatta look really funky, I love the bright pink against the black and the handles will be great as Amelia likes to put her own wellies on. Girls Ditsy Print Wellies - We have a pair of these for Amelia however they're still too big as I bought a size 11 as they were the only size I could get as they were so popular! I love Joules wellies so definitely cant wait until she can fit into them next year. Hunter Original Kids Wellies - You can't go wrong with a pair of Hunter wellingtons so I will definitely be buying her another pair of those. She's now a size 10 however her last Hunter ones were a size 7 or 8 so she outgrew them a while ago. I think I'll buy a red pair this time as previous pairs have been pink which I won't be keeping for Harry although I have kept her yellow ones. When I was pregnant with Harry I bought him a pair of black Hunter wellies so he should fit in them once he turns one. Joules Digger Boys Wellies - These wellies again are from Joules and are really cute! Harry has a coat which is the same print as this so I think I will have to buy the wellies to match some time. I love the quality of Joules wellies. Minion Wellies - If you have a Minion fan then these super cute wellies will be perfect for them. Again with the handy handles for easy pulling on and off. Crocodile Wellies - I love the design of these wellies by Little Joule, perfect for little boys or girls. Hately Tractor Wellies - How cute are these Tractor print wellies by Hately? I love the bright red colour paired with blue. I definitely need to buy a pair for Harry! 3D Cat wellies - Are these wellies super cute for a little girl? I think I need to snap up a pair of these too! What are your favourite pair of wellies? 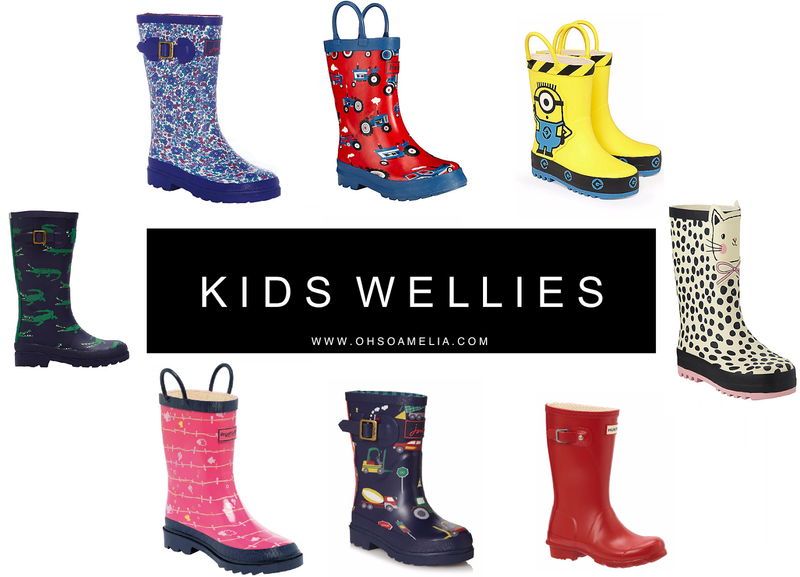 Apart from shoes wellies are also quite popular among kids and therefore we parents are generally trying different varieties and designs with our babies. Here also we can get some good and unique collection of wellies and I am sure kids like these wellies. Will have a piece that you simply can't manage with? Edubirdie the very best writing service as well as your problem will solved! Qualified authors can manage with any theme and size. They'll write any meet your needs and finished promptly! I usually have confidence in them! Paid target market to greater than 50 million paying consumers. Pandora Music If you desire a lot more range of songs.